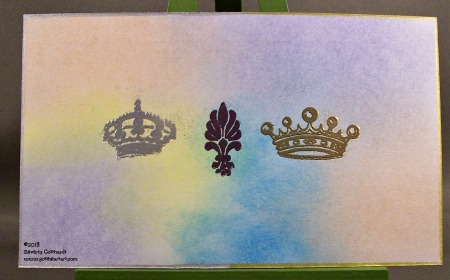 I already had an idea so this ICAD came together very quickly like they are supposed to. A 3" X 5" index card is not a lot of territory to cover. This one is very simple. 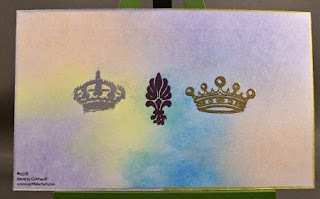 It sticks to the Rainbow Theme using distress inks sponged on and dried, with a Royal King and Queen gold and silver crown with a royal purple flourish in the middle heat embossed. Pizza tonight and then back to Day 7-11.